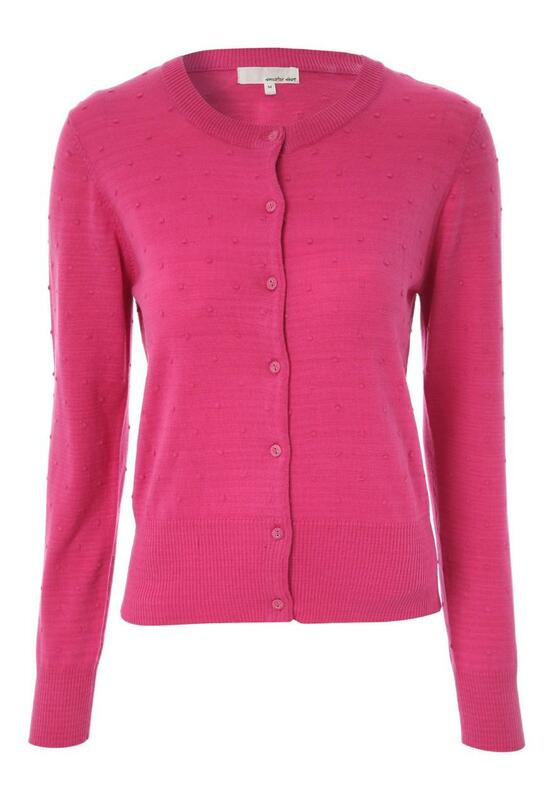 This womens raised spots cardigan is a perfect little cover up. 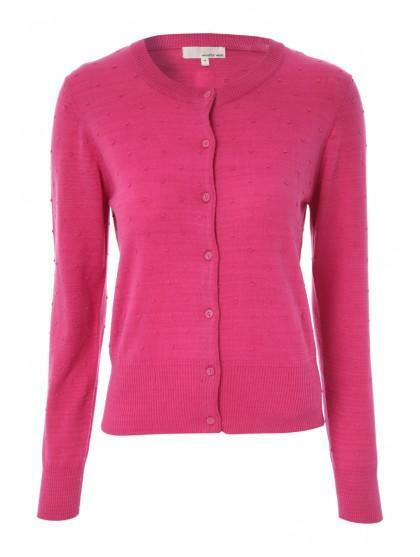 This versatile cardigan from the Sweater Shop features long sleeves, a crew neck and a lightweight knit. With a central button fastening, ribbed hemline and spotty detailing, this easy wearing style will soon become a wardrobe favourite.